I love a good short story and Laura Lippman’s Five Fires is not only a good short story, it’s a great one. It’s summer time in the small town of Bellville and Beth is holding down a job at the local sandwich shop while dreaming of escaping to college and a major in Criminal Justice. But when a series of fires breaks out across town, Beth puts her deductive skills to the test and thinks she’s got the tip that will break the case wide open for the police. As with her other works, Lippman is more than just about the mystery, she’s about the impact of the mystery on her characters and the community as a whole. In her typical fashion, there’s more going on here than meets the eye and having Beth as a first-person narrator helps set things up for the final few reveals and some well-earned surprises. Lippman’s storytelling is sound. As I generally say with all Lippman works, if you haven’t read her yet, you should be. And if you’re looking for just a taste to find out what those of us who love her have been raving about, then this short story is a quick way to get hooked. In the interest of full disclosure, I received a digital ARC of this story from NetGalley in exchange for an honest review. 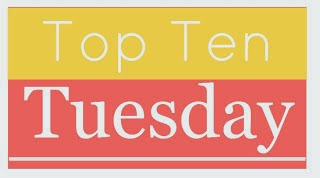 It’s Tuesday and that means it’s time for the Top Ten Tuesday, hosting by the Broke and the Bookish. This week’s question is what are the top ten books on your winter to-be-read pile. 2. 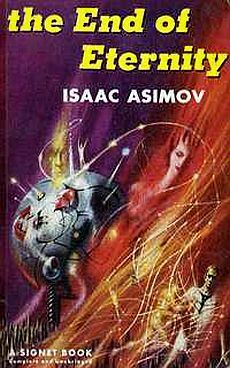 The End of Eternity by Issac Asimov. This one could be a two for one as part of Vintage SF Month in January! 3. Killing Ruby Rose by Jessie Humphries. When her rising career with a prominent and high profile New York law firm is put on hold for a year, Samantha Kofer is given the option to spend a year working as a volunteer with a legal aid society and return to work in a year without sacrificing her career status. Scrambling to find a position, Samantha chooses a legal aide society in rural Virginia. The community of Brady is one that depends heavily on strip mining and its related industries. But that isn’t stopping local crusading attorney, Matthew Wyatt from going after the coal mining companies. Samantha finds herself draw to Matthew and his crusade, learning more about the tactics coal mining companies use to avoid lawsuits and legislation in the process. Despite a promising premise and a couple of intriguing characters, Gray Mountain unfortunately quickly descend into a political statement by John Grisham that’s about as subtle as a two-by-four upside the head. The initial hook of the big-city lawyer coming to the rural area and discovering things about life and the legal issues there held a lot of promise. But once Grisham gets readers to a certain plot twist (I won’t give it away here, but I believe the book jacket does. You have been warned), Samantha goes all-in on the crusade against the mining companies and the book loses any early momentum it had. 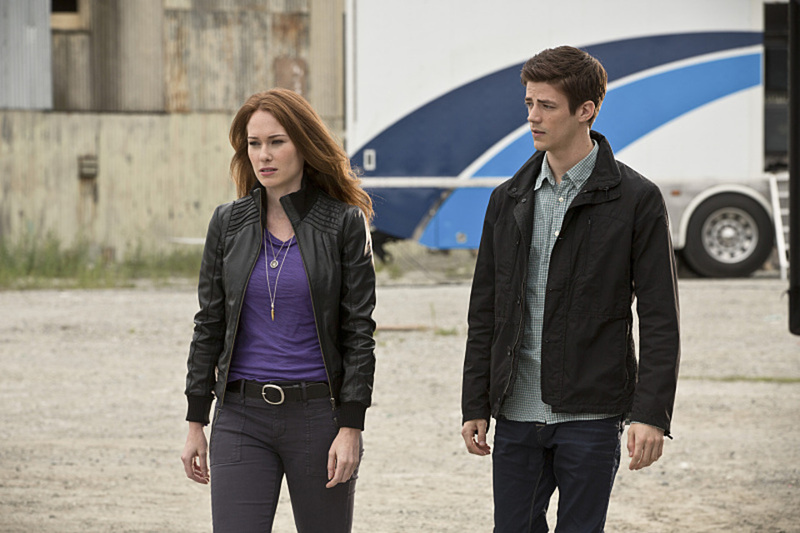 I’m not quite sure why The Flash took a week off only four weeks into the season, but I have to admit I missed seeing it last week. But the short hiatus allowed me to catch-up on some other super-hero themed shows (hoping to do a big round-up of those soon, but don’t hold me to it). That said, I was still happy to return to the world of Barry Allen this week and see how things were developing. On the whole, I liked “Plastique,” but I will admit that there were a few details that didn’t quite all add up in the end. As I said last time, the sheer wonder that Barry has in discovering just what his new-found abilities can do (running up a building, walking on water) is one of the factors that makes this show really work for me. Cisco and Wells’ computations of just how fast Barry would have to run to complete both tasks was nicely done. It also dovetailed nicely into the theme of the episode — how Barry is lucky to have found this team and what he could be if he hadn’t. With Plastique, we see someone impacted by the explosion who doesn’t necessarily want to be a psycho killer, but who doesn’t quite know what to do with her powers. I kept thinking it might have been interesting to see her around for a couple of episodes in a recurring way as she came to grips with her powers and their implications for her. It might have been nice to see her trying to fit in as part of the team and further underscore the theme of friendship from this episode. (And maybe it would have been a way to fit Iris into the episode a bit more naturally is she because jealous of the bond that Barry and Plastique shared). I’m not sure how or why I missed the debut of The 100 on the CW, but thanks to Netflix streaming, I’m DVRing season two and catching up on a season one. As of the writing of this review, I’m only three episodes into the series (not because I’m not enjoying it, but simply because there is a lot of good TV to watch these days!) and I’ve got to say the TV version is a whole lot better. It’s one of those cases of two stories starting from the same point, but taking different paths. And maybe I should have read the book first because I kept getting distracted by the differences between the plot and the one that unfolds here. But honestly if it weren’t for the TV show, I’m not sure how long I’d have kept with the published version of The 100. Just like its predecessor, there are a lot of Peanuts cartoons collected here that I don’t recall reading in my younger days. How much of that is that the memories of those collections are lost to the ravages of time and how much of it is that these particular cartoons weren’t included in previous collections, I can’t really say. What I can say is that reading the entire creative output of Charles M. Schulz from two years is a fascinating journey. In this second collection, the characters and characteristics of those characters are starting to come into better shape. Snoopy still acts like a regular dog, only occasionally talking to the audience and rarely having the flights of fancy that will later define him. Lucy comes to the fore a bit more and feels like the showcase star of this collection — from her being a fussbudget to her dissatisfaction with going to nursery school. There are hints of the Lucy that many of us associate with the character developing here, though I’d argue she has a gentler, more human side than we see in later years. (This may be something that I will have to observe as I continue to read these collections). Over the course of two years, you can see Schultz refining his technique, his humor and his characters. There are some characters who make appearances here that will slowly fade into the background, while others are just emerging. Schroeder has his love of Beethoven and serves as a sounding board for budding cartoon artist Charlie Brown. Pigpen makes his debut toward the later half of the collection, with various observations that you can kick up a cloud of dust everywhere you go and still be happy and well adjusted. One of the more intriguing introductions toward the end of 1954 is Carlotta Brown, who essentially looks like Charlie Brown, drawn in a dress and with curly hair. Her other defining characteristic is that she talks in a loud voice (think Monty Python’s guy who likes to shout). It will be interesting to see how long she stays around and if and how Schultz fazes her out. I’ll be honest that I’ve never come across her in previous collections — and there may be a reason. The book remains a fascinating look at an iconic comic strip as it develops. It also continues to show that Peanuts is never static. 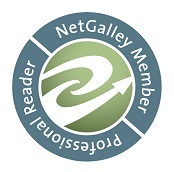 It’s Tuesday and time for the Top Ten Tuesday, courtesy of the Broke and the Bookish. This week’s topic is the top ten books you would like to re-read (or if you’re not a person who re-reads, that you would re-read if you had the time). I’m a bit torn on this because with the plethora of books out there I haven’t read yet (both those already published and those to be published), I sometimes find it difficult to find time to visit some old favorites again. Though I have found a way to re-visit the classic series Doctor Who Target novels via audio book in recent years. They make a nice companion while working out because I’m familiar with the stories enough that if I miss a detail, I’m not completely lost. So, here we go with my list of the books I’d like to re-visit. 1. To Kill A Mockingbird by Harper Lee — One of my favorite books and one that I feel deserves to be re-read once every couple of years. 2. The Great Gatsby by F. Scott Fitzgerald — A good friend of mine says that she feels like Gatsby is part of the required English literature curriculum that many readers aren’t ready to fully appreciate it yet. That may be the case with me because I didn’t fully enjoy it when I read it in high school, but would like to try it again now that I’m older and my tastes have changed a bit. 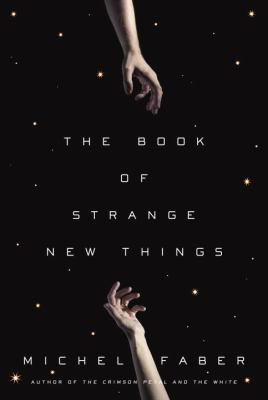 Also, I am curious to see the (new) movie and being a good bibliophile, I want to have read the book recently so I can compare the two experiences. 3. Lake Wobegon Days by Garrison Keillor — It’s been almost a decade since I sat down and read the book cover to cover. It’s one of my favorites and I feel like it should get another look. 4. 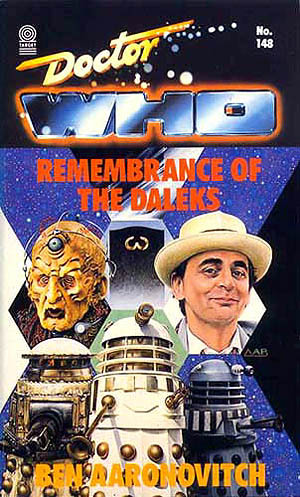 Doctor Who: Remembrance of the Daleks by Ben Aaronovich — One of my favorite novels of the Target line, I recall being thrilled to pieces when I finally found a copy and read it cover to cover on a plane trip. It enhanced my enjoyment of one of my favorite televised stories and I recall certain passages just pushing all my Whovian fan buttons. It was re-issued last year for the fiftieth anniversary (I’ve got my original copy that I searched for twenty-five years ago) and I’ve been tempted to visit it again. But I haven’t yet because I wonder if the actual re-reading of the book will confirm my memories or tarnish them a bit. I keep hoping they’ll release it as an audio book, of course. 5. It by Stephen King. A couple of summers ago, I revisited Cujo on audio book. This was because I’d originally been riveted to the book when I read it as a teenager. (It holds up!) I was riveted to King’s massive It in a similar fashion when it came out in paperback years ago. Part of it could have been that I had the flu and was too weak to crawl out to where the TV was, so I was in bed reading this between bouts of fever and other complications. I wonder if the book would hold up and be as page-turning and unnerving as it was back then. 6. The Ramona books by Beverly Cleary — I loved these growing up and read them so many times that I still can recall certain passages from memory. I’ve given these books as gifts to friends and family who have children and I hope that if we’re blessed with kids that I can share these books with them. It’s why I’ve held off re-reading them for a while now in the hopes of getting to read them (someday) with my kids. 7. The Peanuts Cartoons by Charles Schultz — I read a lot of collected comic strips of Charlie Brown, Lucy, Linus and Snoopy growing up and recently I’ve found my library has a good run of the Complete Peanuts collections. It’s fun to revisit these old friends and see how the comic strip developed. 8. Marvel Super Heroes Secret Wars — This epic mini-series came along at just the right time in my young comic book collecting days. Imagine you’re in fifth and sixth grade and EVERY SINGLE MARVEL super hero teams up to battle EVERY SINGLE Marvel villain! For a year-long, epic mini-series. Oh yeah, and my favorite superhero, Spider-Man, gets a new costume! Back in the day before comic stores were as much an option as they are now, I had to depend on getting to a comic book rack and finding the issues of this mini-series there. This meant I read what I could, loved it but had gaps in there (I did have a copy of the iconic issue eight with the introduction of Spidey’s new costume). 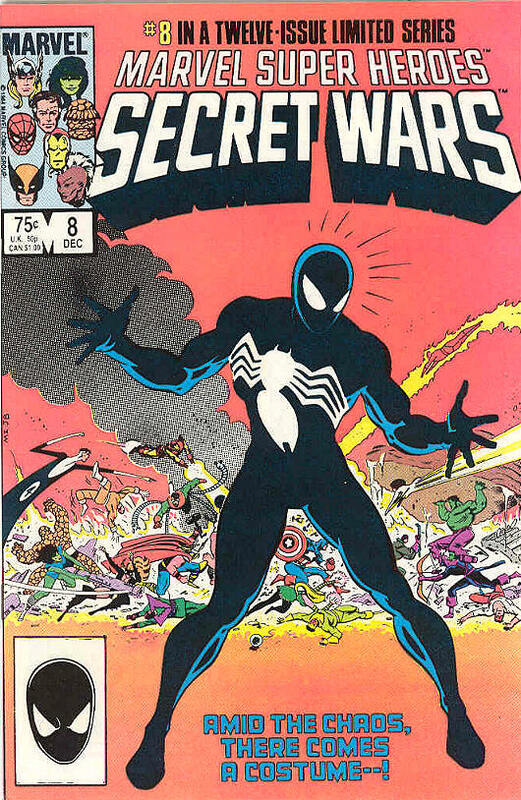 With Marvel getting ready to do a new take on Secret Wars next year, I’m curious to see how the mini-series holds up. I see there’s an epic collection of all twelve issues in trade paper back out there. 9. A Connecticut Yankee in King Arthur’s Court by Mark Twain — Another one I read in high school and really enjoyed at the time. I think it’d be fun to visit it again. 10. A Tale of Two Cities by Charles Dickens — Again, read it in high school but haven’t read it since. I recall it being one of the more enjoyable assigned books I read back then and would like to revisit it with my older reader tastes.